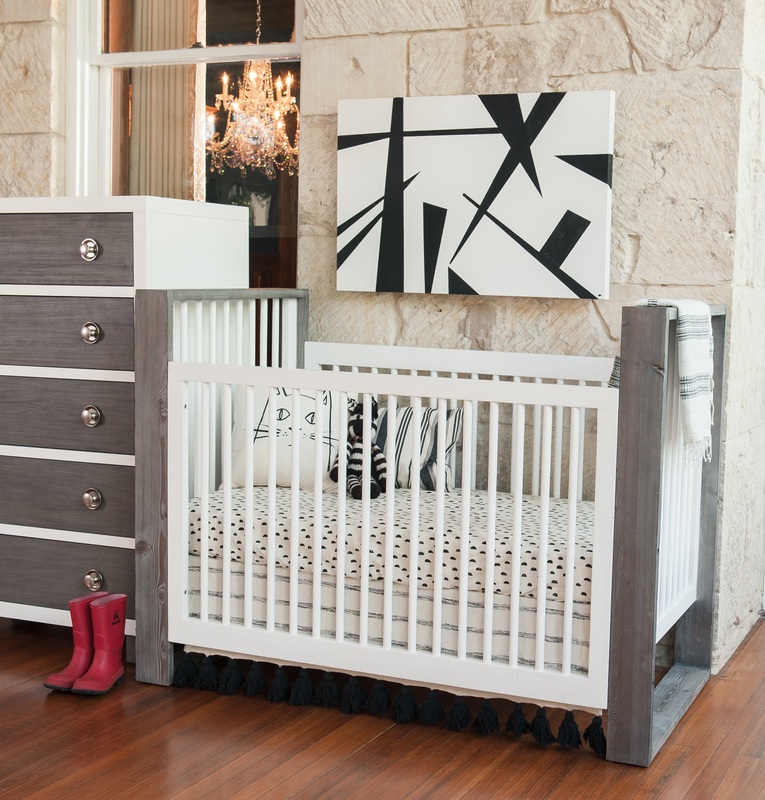 When Milk Street Baby first debuted their gorgeous cribs, we were so excited to share them with you! 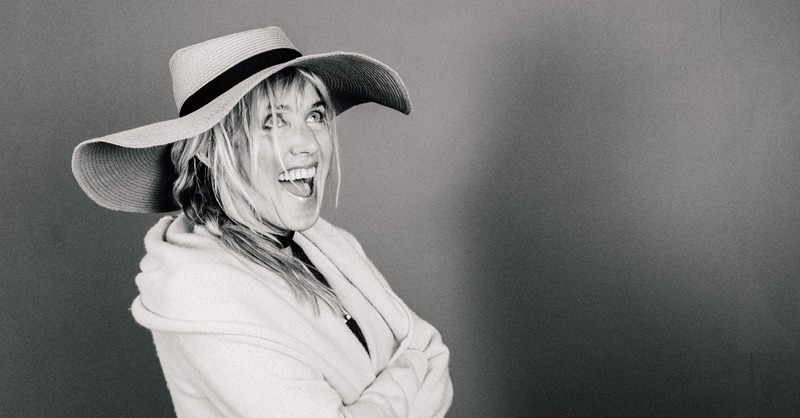 And now, we are thrilled to introduce you all to Julie Knisley, the founder and designer of Milk Street Baby. 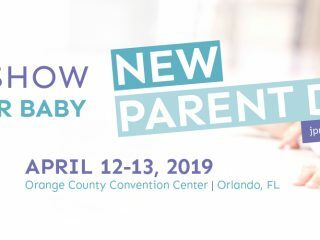 Milk Street Baby is not only known for their modern designs with a traditional twist, but steadfast commitment to safety – which is why we are eager to have you learn more about Julie and her fantastic line of cribs and furniture during Baby Safety Month. 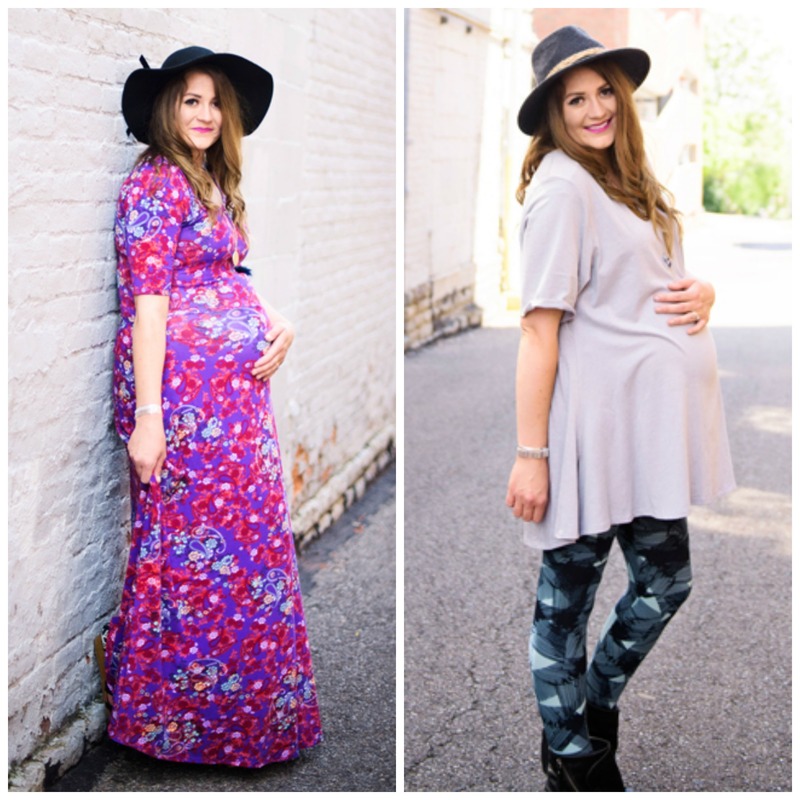 Check Milk Street Baby out on their website, Facebook, and Instagram. Why did you want to start Milk Street? 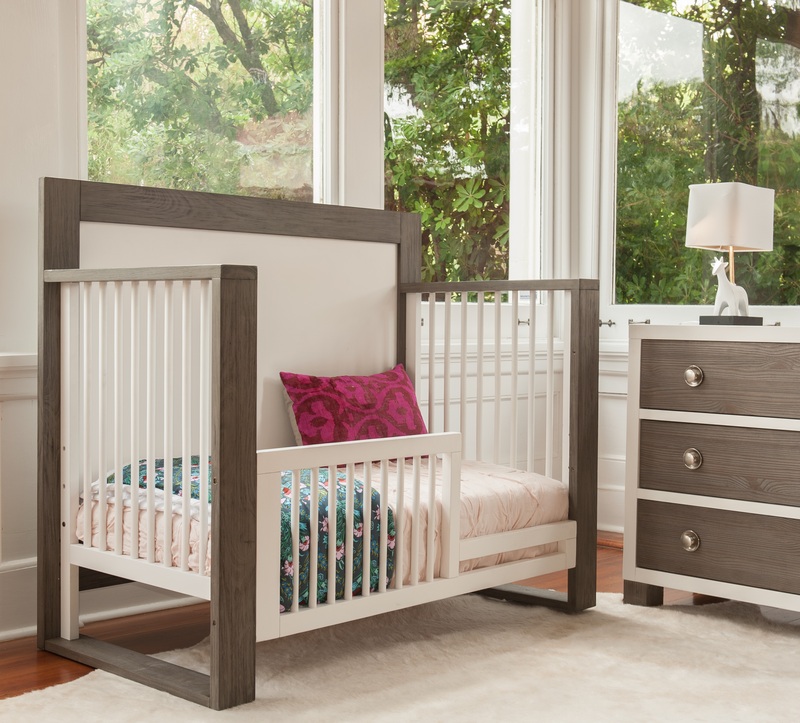 Milk Street was born after years of experience designing for other crib companies. I saw corners cut and facts incorrectly stated. I had no control and no final say in final production quality. I started and run Milk Street so I can make certain that we are offering moms and dads the absolute best crib on the market at our price. We offer real product as well as complete transparency to families. And, we encourage new moms to utilize the supplier of their local baby specialty store. 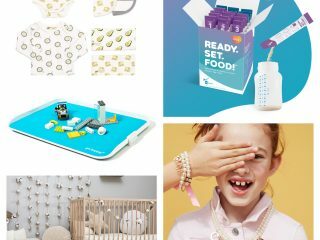 These retailers we have partnered with know this niche and will offer a lifetime of support and education [editor’s note: we love this!]. 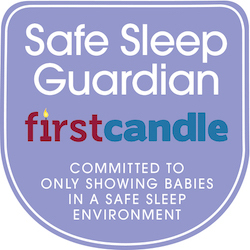 Seems with all the online options these days, young parents assume that if a company is making cribs that those products are safe for baby. ASSUME NOTHING. I have seen the other side of this and know that not all cribs are safe. 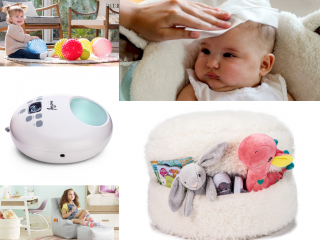 We want to educate our customers and the questions to ask as well as the answers to maximize wellbeing of that baby. There is nowhere you would leave your baby alone and unattended other than in the crib, that crib must be a safe haven. What is your background in design and how did you come to care so deeply about baby safety? My background is in furniture design, and I got my start creating children’s chairs for a company who produced cribs. I was working for the company that had a HUGE recall involving several baby deaths. This was when I realized someone needed to become an expert in all aspects of safety. I spent time in the testing labs and in countless factories to figure the specific parameters to design within. I believed then and still do today that a crib is one of the most important purchases you will make in your lifetime. I wanted to design and produce a safe, beautiful crib for every type of family. What is so significant about your commitment to safe finish AND design? Safe finish is probably the single most important aspect of what we do, and an extra and costly step that no one else is doing. Construction and basic coatings tests are required to pass ASTM and CPSC standards. The construction standards are quite stringent but when it comes to coating, we feel we need to go the extra mile! 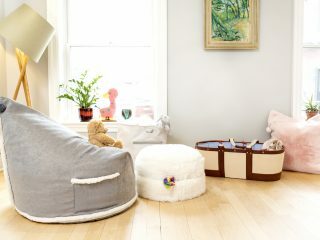 Content finishes found in a nursery is incredibly important to the development and well being of your baby. We test every single layer of our finish — sometimes that mean 8 different layers — for phylates and heavy metals. Our competition only tests once… their finish. We test every layer because while there may be appropriate levels to phylates in that top coat/ single finish board when being tested…. over time and if top coat gets nicked or scratched… these phylates and other chemicals can seep through that top layer. We test every single layer and provide customers with complete results! 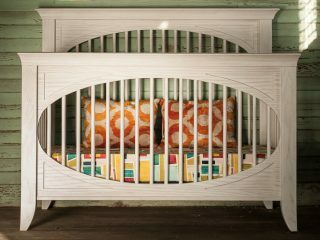 Why should parents invest in Milk Street cribs? I believe we offer not only the best product on the market made from solid wood and veneers to the best functions, scale of design, and finish. Our quality is strong, and our pricing for what you are getting is unheard of. In fact, in talking about price, I went way below what my partners though these should be priced at. I wanted young families to be able to afford a real quality crib that would last the lifetime of their child. All of our cribs convert to be used long after the nursery. You can be sure you are getting an amazing value in every one of our cribs. 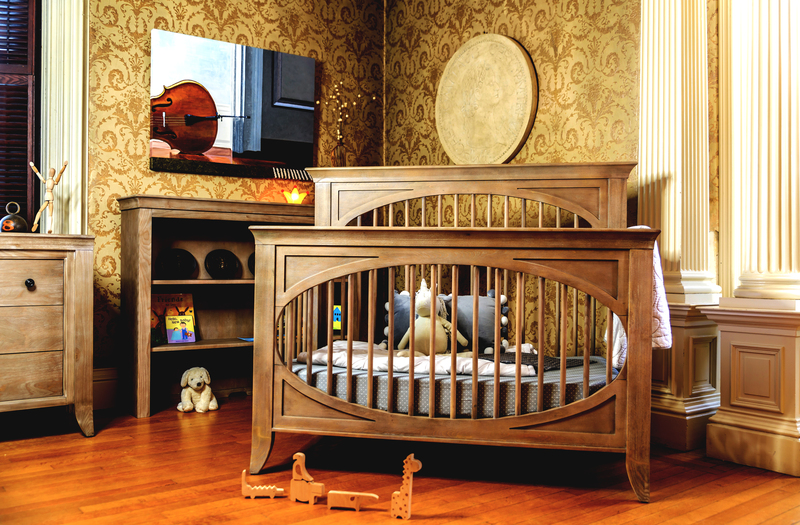 Our cribs are made with love and held to the highest standards possible. 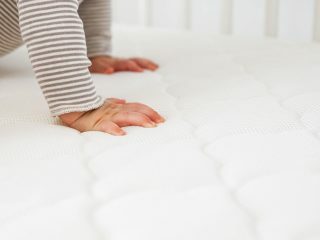 Our company is the only crib company owned and managed by women! 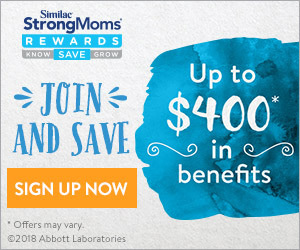 What can Milk Street do for families? How can they enhance the overall safety and health of the house? 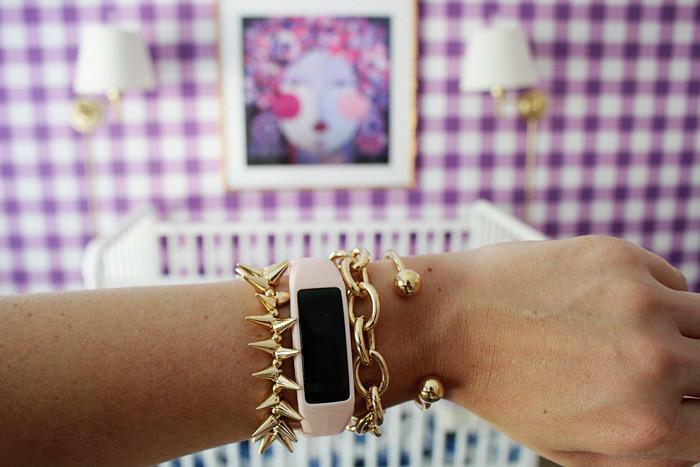 At Milk Street, our goal is to provide safety, support and edgy designs for our moms and dads. 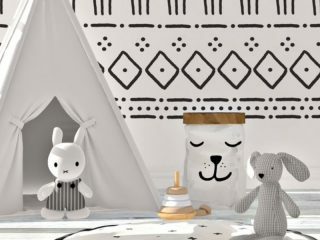 Julie Knisley has designed for the best brands in the world, and she founded Milk Street to find a way to maximize design within the limitations of a crib and to insist upon creating the safest haven for your little ones. Thank you to Milk Street for making this sponsored post possible.